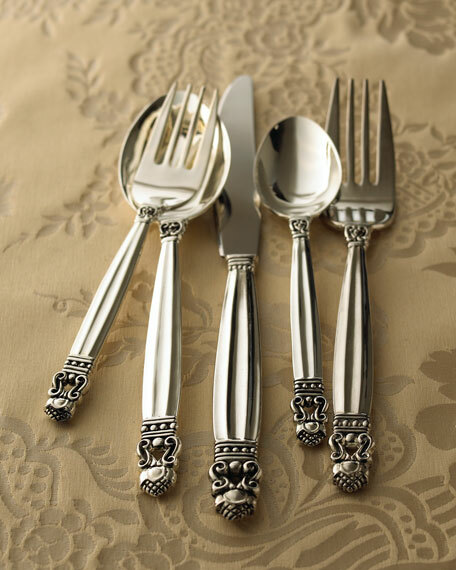 Design inspired by the lavishness and romance of the 16th century. 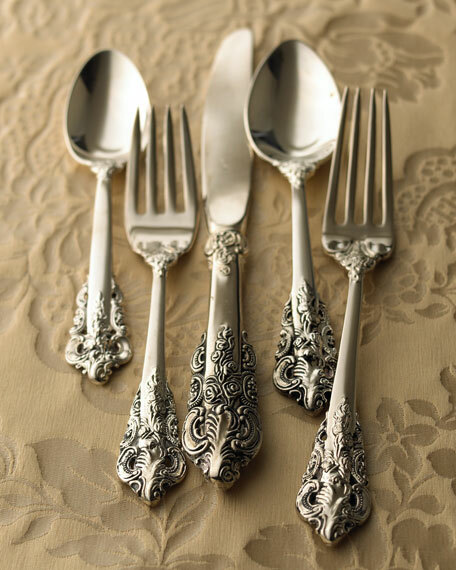 Celebrating Grand Baroque's 75th anniversary. 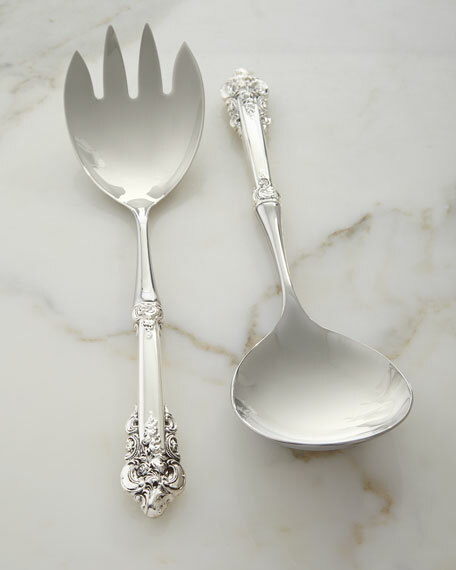 Set includes spoon and large fork. 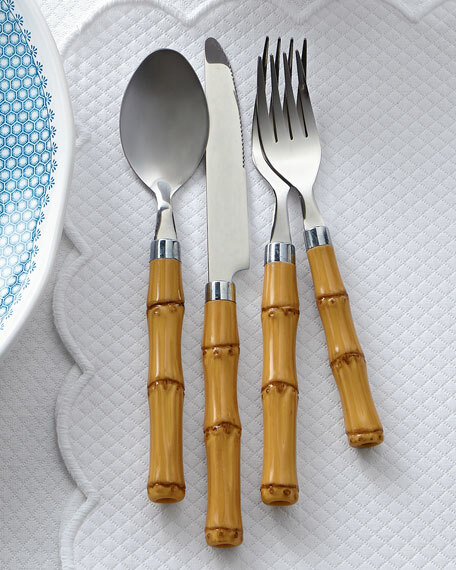 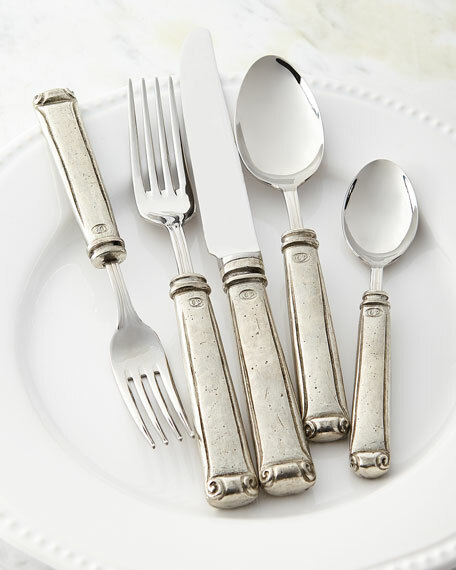 EXCLUSIVELY OURS.Handcrafted flatware.Pewter.Substantial handles for an Old World feel.Service for 4 includes forks, knives, dessert forks, dessert spoons, and coffee spoons.Hand wash.Made in Italy. 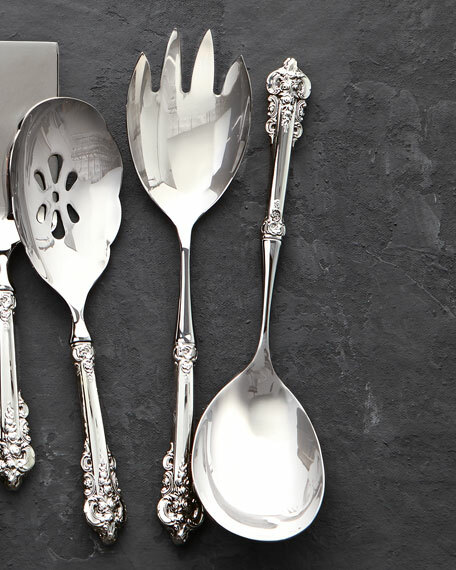 EXCLUSIVELY OURS.Silver-plated flatware crowned with distinctive acorn finials.Service includes 12 five-piece place settings plus two serving spoons (one pierced), serving fork, gravy ladle, and sugar spoon.Hand wash.Imported.